Don Farmer is the President of Don Farmer, CPA, PA. Don was formerly a Tax Partner with Deloitte & Touche in charge of the tax practice for their five Western North Carolina offices. In 1984, he resigned his position as Partner and created Don Farmer, CPA, PA in order to devote most of his time to writing and lecturing. He also consults with other CPAs around the country concerning tax matters. Each year, Don writes and presents many CPE programs across the United States. He has made presentations in over forty states. Don has also contributed articles to nationally known tax magazines. 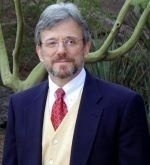 Walter H. Nunnallee, Esq., CPA, served as a professor of tax law at North Carolina Central University School of Law, Durham, North Carolina from 1986 to 2010. Mr. Nunnallee has also served as visiting interim professor at the University of Florida College of Law and as an adjunct professor of tax law at University of North Carolina School of Law, Duke University School of Law, and the Graduate Tax Program at the University of Florida College of Law. He worked as a CPA with KPMG, Raleigh, North Carolina from 1975 to 1978, and from 1981 through 1988 he was an attorney with the law firms of Poyner & Spruill and Manning, Fulton and Skinner, Raleigh, North Carolina. His academic credentials include a B.S. from Florida State University, a J.D. from the University of North Carolina, and an LL.M. in Taxation from the University of Florida (where he finished first in his class). He has authored numerous tax articles published in the Oregon Law Review, The Tax Lawyer, Tax Notes, and The Review Of Taxation Of Individuals. 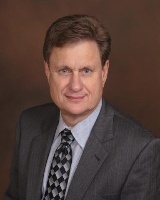 Mr. Nunnallee has frequently lectured at tax conferences including the University of Montana School of Law Tax Institute; Southern Federal Tax Institute, Virginia Tax Conference, University of North Carolina School of Law Annual Tax Institute; and various state tax institutes. He is a frequent discussion leader for tax-oriented CPE seminars throughout the country. He is also a member of the North Carolina Association of Certified Public Accountants and the North Carolina Bar Association (past chairman of the Tax Section, 1991-92). He serves on the Board of Advisers of the J. Nelson Young Tax Institute. Mr. Nunnallee has been associated with Don Farmer since 1991 presenting tax seminars around the country.